New York is set to become the second U.S. state to place a ban on single-use, plastic bags in retail stores after state legislators and Gov. Andrew Cuomo came to an agreement on Sunday, March 31. The agreement comes after the governor’s proposed plan last year and California’s statewide ban in 2016. 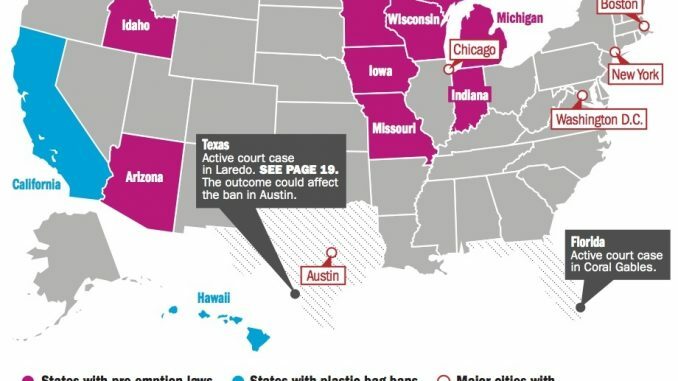 Hawaii also has an unofficial statewide ban, as a majority of counties throughout the state already bar the use of such single-use bags. The ban will go into effect next March and is expected to be passed as part of New York State’s 2020 budget deal. It would forbid stores to provide customers with single-use, plastic bags, which are nonbiodegradable, have caused gruesome wildlife deaths, and thwarted recycling efforts. Animals in marine environments are particular victims of plastic bag related incidents—sea turtles often mistake these bags for jellyfish, and a number of whales have died following the consumption of such waste. Just last month, a whale in the Phillipines was found with more than 88 pounds of plastic in its stomach. 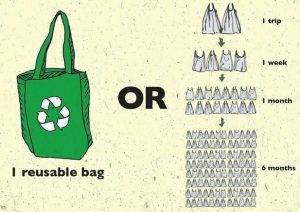 An estimated 23 billion plastic bags are used by residents across New York State (NYS) annually, with more than 10 billion being used in New York City (NYC) alone, according to the NYS Department of the Environmental Conservation. This, in turn, accounts for 1,700 tons of residential garbage every week, and the city even pays an estimated $12.5 million a year in transporting those bags to out-of-state landfills via transportation by automobile alone. While the ban is to take effect statewide, the press release from Gov. Cuomo’s office also stated that individual counties and cities would be able to opt into a program that would implement a five-cent fee on paper bags. Forty percent of the revenue generated by that fee would support “local programs to buy reusable bags for low and fixed-income consumers.” The remaining 60 percent would go to the New York Environmental Protection Fund. This change in stance on the issue is notable provided that, in 2017, Gov. Cuomo signed a bill that stopped an NYC law that would have imposed a five-cent fee on plastic bags. A major concern at that time had stemmed from as to whether or not the tax would negatively affect the city’s impoverished residents. Will Article 13 Kill Memes?